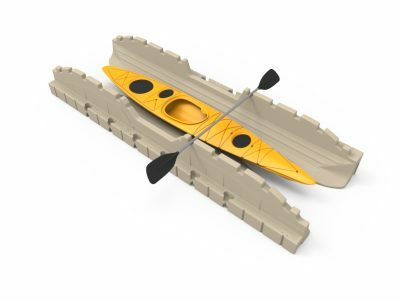 Stay stable and dry with the EZ Kayak Launch. Whether you’re a seasoned veteran or just getting started, the EZ Launch from EZ Dock provides the security and stability to help you get in and out of kayaks, canoes and the water with total confidence. The innovative one-piece design of this kayak docking system adjusts to changing water levels and incorporates built-in launch-assist paddle notches for stable entry and exit and easy launching and docking. A wider format with a V-shaped entry centers kayaks or canoes for more smoother and more consistent launches. And, since it connects seamlessly with standard and low profile EZ Dock sections or any other traditional dock, the EZ Kayak Launch can be installed virtually anywhere. Integrated paddle notches make launching and docking safe and easy. 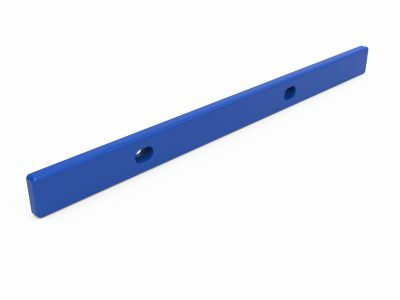 Paddles stay safely secure while users are getting in or out of the boat, and no added work is needed to keep paddles safe in place. One-piece floating construction rises and falls with fluctuating water levels. This makes it easier for all users to access the dock and the water. V-shaped entry centers your vessel for a consistent, confident launch. Even new kayakers and canoers can feel more confident with the added stability this brings. Seamless connections enable you to connect the launch to any dock (standard floating or traditional fixed). 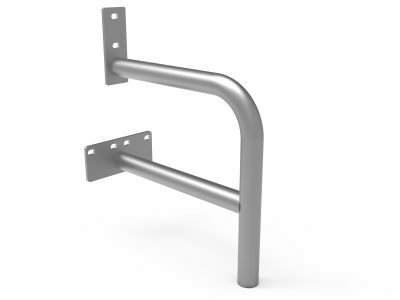 Easy installation lets this conveniently become a part of your existing dock system. Wider format allows you to launch kayaks and canoes. 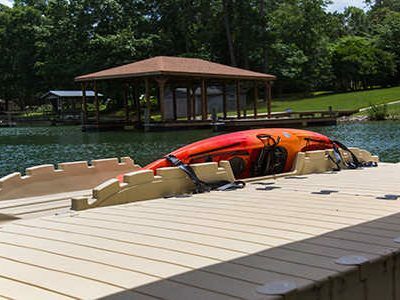 If you’re looking for a more accessible kayak floating dock, contact EZ Dock for kayak dock solutions that fit your needs.